The ideal travel companion, full of insider advice on what to see and do, plus detailed itineraries and comprehensive maps for exploring this exciting country. 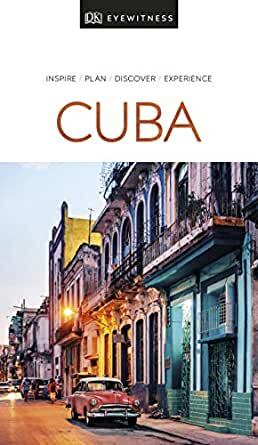 Tour Havana, Cuba's vibrant capital; explore dramatic mountain scenery; or laze on stunning beaches: everything you need to know is clearly laid out within colour-coded chapters. Discover the best of Cuba with this indispensable travel guide. DK Eyewitness Travel Guide Cuba is a detailed, easy-to-use guide designed to help you get the most from your visit to Cuba. Planning a shorter break? Try our DK Eyewitness Top 10 Cuba guide. These are my favorite travel guides. I've used them for Vietnam, Angkor Wat, Egypt, Jordan, Israel, and a few other places. They give you a snippets of information and facts, elaborate where necessary, and show diagrams, maps, photos, and give you practical information about what to expect, the customs of the culture you're visiting, etc. I find I can get any information I need online, of course, but I like having something to read ahead of preparing for a trip at home. Cuba isn't known for having easy access to wifi, so that's good to know - this way any maps, etc. can be downloaded in advance. All just very helpful information and printed on thick, glossy pages. They're a little on the heavy side, but not thick so it can be overlooked. I have several on my Wish List to buy in succession after finishing this one and deciding where to go after that. Because I wanted to read up a bit on Cuba before visiting the country, a friend loaned me her copy of DK’s Eyewitness Travel Guide. After 15 minutes of browsing, I ordered my own copy so I could mark it up. I took a group tour, so I didn’t use some sections (where to stay and eat). However, the general information sections and the ones about the areas I visited are now thoroughly highlighted and dog-eared along with scrawled notes. If you want in depth information, you might want to consider something longer, but I’ve traveled a lot internationally and I can say I definitely got my money’s worth with DK’s Cuba guide. We just got back from 10 days in Cuba and used this book, the Moon guide, and Conner Gory's 101 Things Every Woman Must Do in Cuba. The latter was the best and this one was the worst. It's like this guide was written by someone who had never been to Cuba. The itineraries are ridiculous. In Cuba, everything takes longer than one might think due to the government and the cultural norms that change the pace of life: little internet, meals that last 2 hours, lack of a subway system. DK at one point suggests that the reader go to 6 museums in one day! The other aspect of this style of travel writing is that it almost wants the traveler to NOT engage or meet with any Cubans in Cuba. Cuba is a spontaneous country and making down to the minute plans is just not possible when the country simply moves at a slower pace and it takes longer to get things done. Tons of the restaurants and bars recommended have since closed, hours are not definite, and a lot of the museums have also changed. Cuba is in flux and for this much money you should add an e-supplement. Finally, titling a chapter "Survival Guide" is some colonialist nonsense. Like, Cuba is second world but many people are happy and thriving. No need to tell the reader how to "survive" in a country with free healthcare. 1.0 out of 5 starsPrinted on cheap newsprint! I own about 20 eyewitness Guides. I always but them before visiting a foreign country. I make notes in the margins and save them as cherished memoir of my trip. This guide was printed on cheap newsprint and it feels cheap. Sad that DK has abandoned the high quality that used to separate them from all the other guides. I will be returning in protest! I've bought DK Eyewitness Travel Guides for a number of countries I visited in the past so I didn't hesitate to buy the same brand for our upcoming trip to Cuba. I was very disappointed in this book. It's many fewer pages than other DK guides and that was reflected in the brief mention of so many places and things about Cuba. 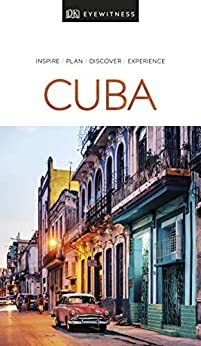 Even though I haven't been to Cuba yet, I knew about a number of places to visit that weren't mentioned in this guide. It's really a very superficial overview, leaving us to frequently say "but tell us more about that..." You also should know that the guide comes from England, a country where residents are free to travel to Cuba without restrictions. As an American with restrictions, I found that some of what was written wasn't relevant.